Nelson and Pade, Inc’s Aquaponics Project Planning will get you started and successful in a Commercial Aquaponics Business. If you are in the early planning stages for a commercial aquaponics business, our Aquaponics Project Planning service is where you should start. There are many facets of writing a commercial aquaponics business plan and, like any business; it requires a solid foundation. Whether you are self-funding, seeking funds from a bank, an investor or a grant, you need a clear understanding of the startup costs, operation costs and potential income, equipment required to achieve that. Additionally, you need a plan for training and support to demonstrate that you are capable and will be a good manager of the business and marketer of the fish and produce. You meet (by phone or in person) with Nelson and Pade senior staff to define your goals, needs and ideas for the commercial aquaponics business. Things like crop choices, marketing avenues, location, infrastructure and budget are discussed. Pertinent information is gathered to begin formulating the plan. In addition to offering recommendations on the environmental control and aquaponic culture systems, topics such as power, water source, existing infrastructure, market demands, labor required and business potential will be addressed. Nelson and Pade, Inc.® creates a preliminary report based on your commercial aquaponics business, which is a project overview and a means of making sure we are all on the same page and moving in the right direction. 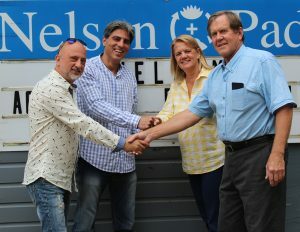 Nelson and Pade, Inc.® completes the full project plan. This is a 35-45 page report customized for your business, location and climate, covering all aspects of the business development, marketing, system design and environmental control, crops, production levels, labor requirements, economics, food safety, permitting and regulation, and more. The exceptionally valuable interactive spreadsheet is also included so you can work through the numbers, make adjustments and compare various income and expense scenarios. Follow up discussion of the plan, interactive spreadsheet, location specific considerations, funding and next steps. We work to answer any additional questions so that the business gets funded and up and running. The fee for project planning varies based on size and complexity. Contact us for a quote. Note: The information provided in the Project Plan Report is specific to the business it was created for. We will not share Project Plan Reports or spreadsheets with others and we do not provide generic Project Plan Reports. If you ask us to “just show you a plan we created for someone else,” the answer will be no. Ne lson and Pade, Inc.® offers Site Visits as an optional service for customers who have engaged in Project Planning. 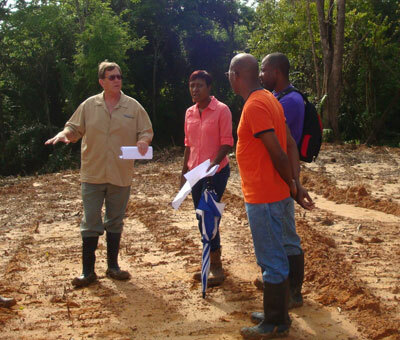 A Site Visit from Nelson and Pade, Inc.® includes a personal visit to your potential site from key staff of Nelson and Pade, Inc.® They will provide an evaluation of the infrastructure, utilities and site assets in relation to an aquaponics installation. Additionally, they can present a professional presentation on aquaponics and controlled environment agriculture to the person or persons involved in the project and/or funding. For those customers that request and fund a site visit, a Site Visit Report will be included in the final Project Plan. Cost of Site Visits is based on the location, length of time to be on site, length of travel time and cost of travel. Once you are ready to move forward with a commercial project, Nelson and Pade, Inc.® offers their Project Design and Implementation services to assist you with the logistics and planning of a large-scale commercial aquaponics business. The business is more than the aquaponic system. It includes the greenhouse, support equipment, cold storage, food safety and much more. Project Design and Implementation covers things like planning the underground plumbing and system requirements, providing guidance to electricians on electrical requirements for the aquaponic systems, guidance and specifications on the greenhouse, guidance, drawings and data to appropriate professionals and contractors and making recommendations, timelines and support through the process of breaking ground through completion of the greenhouse and installation of the aquaponic system. We are not architects or engineers, but we can interface with these professionals as needed, to provide the information about our systems that might be required for permitting. What can Nelson and Pade’s Experience do for you? Know the Real Cost of Your Project! Nelson and Pade, Inc.® can provide you with precise cost estimates for starting your project. Success comes from proper planning and adequate funding. Let Nelson and Pade, Inc.® help you get started! Nelson and Pade provides real-world, proven numbers on operational costs, production and potential income. Select the Right Equipment and Culture System! With experience in traditional, naturally ventilated and retractable roof greenhouses, Nelson and Pade, Inc.® can assist you in choosing the right greenhouse and growing system for your crops and climate. Earn Extra Income Your First Year Growing! With project guidance from Nelson and Pade, Inc.®, you will finish construction sooner, plant sooner and begin earning money sooner! Plus, you’ll have their experience-based input which will contribute toward a successful crop and profitable business! Their cost-saving tips will put money in your pocket and their expertise will ensure a properly-built greenhouse. Call us at 608-297-8708 or email info@aquaponics.com to discuss your project.